As of this writing, it is the eve of the 2015-16 NFL season. As an NFL blogger and a fan, I am very happy that the new season is finally here. I am sure my readers, and fellow NFL fans are pleased that the NFL season is here as well. It is about time fans and the media can talk about ACTUAL football. I am talking about what happens on the field, such as touchdowns, sacks, and whose endzone celebrations are the best. After an arduous off-season, where the fans were subjected to a ridiculous scandal called “Deflategate,” involving the New England Patriots and their QB Tom Brady, leading to Commissioner Roger Goodell losing again in court, I think it’s about time to discuss the game. I am also aware of ESPN and their little temper tantrum. After all, they’re a mouthpiece for the NFL, so if the NFL could not get a judge to allow them to suspend Brady, let’s bring up unsubstantiated stories about an 8 year old scandal. I will pass, as it’s not worth my time. Tomorrow, on Thursday, September 10, 2015, at Gillette Stadium, the defending Super Bowl Champion New England Patriots host the visiting Pittsburgh Steelers, who themselves, have won 6 Lombardi Trophies, the most of any team in the Super Bowl Era. This should be a very exciting night for the Patriots and their fans. The team will raise their Super Bowl banner, during the opening festivities. The game itself should be a shootout between Patriots QB Tom Brady and Steelers QB Ben Roethlisberger, even though both teams have injuries and suspended players. I think the Patriots should take this one. In this blog, I will be making my predictions for the 2015-16 NFL season. I will be discussing the teams, and give my prediction for their records. I will also give my Super Bowl prediction, and year end awards. I do hope that you will enjoy this blog. This division is always a tough division, as they beat up on one another. There’s been lots of off-season drama in this division as well. Philadelphia Eagles coach Chip Kelly has let go some top players, such as LeSean McCoy. He acquired RB Demarco Murray from the Cowboys. Can QB Sam Bradford stay healthy for them? The New York Giants are in disarray defensively, especially in the secondary. Who knows when DE Jean-Pierre Paul will be ready for the season, after his hand injury? They’re allegedly talking with Seattle about trading for Kam Chancellor. There are question marks about Victor Cruz. That offensive line is horrible. Will Eli Manning survive the season? The Dallas Cowboys had a great season last year. Their running game is a bit of a concern. How healthy is Darren McFadden going to be? Their defense should be pretty good when Greg Hardy returns from his suspension. Washington is a disaster area. That’s all I have to say. It was bad enough that QB Robert Griffin III got hurt in the pre-season, but they couldn’t decide what kind of injury he had. Now, he’s a third string QB. What a mess. The rest of the team doesn’t look like much. Drew Brees revealed that he was more banged up than he let on last year. Now that he’s back to full strength, I think he and the Saints will be much better. Their defense is still a concern though. I look for Atlanta to improve. New head coach Dan Quinn should have the team improving defensively, as he was the defensive coordinator for the Seattle Seahawks last season. Having WR Julio Jones signed to a long term deal will have stability for QB Matt Ryan. I liked what I saw of both the Saints and the Falcons this pre-season. I realize that their offense hasn’t looked all that great in pre-season, but I think this is a one team division, and that’s the defending NFC Conference champions, the Seattle Seahawks. I know they were paying their players, such as their QB Russell Wilson. They’re in a contract dispute with DB Kam Chancellor. I still think this is the best team in the division. The Legion of Boom is still pretty much intact. They’ve just signed former Buffalo Bills RB Fred Jackson, and they still have RB Marshawn Lynch. The once mighty San Francisco 49ers have a new coach, and new staff. The 49ers have lost so many players due to retirements, trades, that they virtually have a new team. 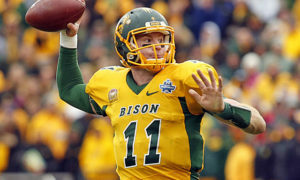 The St. Louis Rams have a new QB in Nick Foles. Foles is serviceable. The Rams have a very nice team. They have a pretty good defense. I think they may be a year or so away from challenging the Seahawks, though. The Arizona Cardinals have to hope that QB Carson Palmer returns to form after his ACL tear, because when he went down last year, so did their playoff hopes. This division is a tough one. It’s called the “black and blue” division, as these teams have been historically very tough. I am talking about the Green Bay Packers, the Chicago Bears, the Minnesota Vikings, and the Detroit Lions. Lately, this division has been turned into Mr. Rodgers’ Neighborhood. I’m not referring to the kids’ show on PBS. I’m referring to Packers QB Aaron Rodgers. Under Rodgers, the Packers have been dominating the division, and I suspect they will do so again, despite losing WR Jordy Nelson for the season. WR Randall Cobb is playing with a shoulder, but the team brought back WR James Jones, so I would not worry about the Packers. The Lions lost Ndamukong Suh in the off-season to the Miami Dolphins via free agency. That will hurt them on defense. Haloti Ngata will be a help. I’m not sold on QB Matthew Stafford. With an improving Vikings team, I am not sure the Lions make the playoffs this year. In speaking of the Vikings, I was very impressed with them this pre-season. QB Teddy Bridgewater has shown great pocket awareness. RB Adrian Peterson is back, after last year’s ordeal involving child abuse allegations, which lead to a suspension, which a Minnesota Court struck down. Peterson should have fresh legs, and should be in a good position to help the team. The defense looked very good. The Chicago Bears are a mess. I like new head coach John Fox very much. However, QB Jay Cutler is horrible. He really is a mess. I don’t think Cutler can be coached. The whole team is brought down because they know Cutler is so horrid. Well, with all the off season moves that all four of these teams made, the AFCE will not be boring this season. That, I promise you. The Miami Dolphins made the big splash by getting Ndamukong Suh in free agency. They will be dangerous, especially with Cameron Wake on the other side of the defensive line. They gave QB Ryan Tannehill a long-term deal, so the team is set on him as their QB for the future. He does some good things, but then he makes some bone headed mistakes. Having Branden Albert back in the offensive line will help. Rex Ryan has re-emerged from his firing as the head coach of the New York Jets, to become the head coach of the Buffalo Bills. He once again built a very strong defensive team, with an offense set on running the ball. I mean, he has playmakers, such as LeSean McCoy. How far will he go with the QBs he has is the question. The New York Jets are a hot mess. They got DB Darrelle Revis back, along with Antonio Cromartie. They have a very solid defense. Head coach Todd Bowles is an excellent defensive mind. I know they got WR Brandon Marshall, but their QB is whom? Geno Smith got his jaw broken over money. Ryan Fitzpatrick is your starter? He was awful this pre-season. I suggest this team, and the other 30 teams, for that matter, worry about their own problems, and not about what’s going on in Foxborough. In speaking of Foxborough, let’s discuss the football aspect, and not all the outside garbage. The Patriots are the defending champions. They did lose Brandon Browner, and Darrelle Revis and others to free agency. The Patriots buffered up their pass rush. In the pre-season, the new defense looked pretty good in spots. Dominique Easley had a good pre-season. The Patriots offense didn’t look like itself due to injuries at wide receiver, and at offensive line. Center Bryan Stork has been put on short term IR due to a concussion. WR Brandon LeFell is on the regular season PUP list. These are concerning injuries, but I think this team can weather them. Coach Bill Belichick will be able to figure things out. As for Deflategate having an impact, I think you will see a highly motivated team, especially Tom Brady. Brady will be making opponents pay for Deflategate. I also expect TE Rob Gronkowski, and WR Julian Edelman to have big seasons, as well. It was shocking to see RB Jonas Gray cut, even though LeGarrette Blount will be suspended for the first game of the season . This division will be again dominated by one team, the Indianapolis Colts. They’re heads and shoulders above the rest. They have a rising star in QB Andrew Luck . They have a very prolific offense, now featuring former 49ers RB Frank Gore, and former Houston Texans WR Andre Johnson. They still need to fix that offensive line, and that run defense, though. The Houston Texans don’t have a great offense. RB Arian Foster is out for a few weeks with an injury. QB Brian Hoyer is just alright. J.J . Watt, the brilliant defensive end can only do so much. The Tennessee Titans have a rookie QB in Marcus Mariota, who had a good pre-season. I really don’t expect much. The Jacksonville Jaguars have a decent defensive team, but they don’t have a great offense, even with a young QB Blake Bortles. 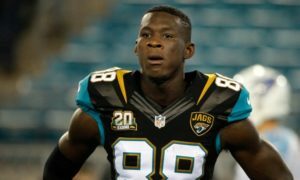 Bortles’ new target, TE Julius Thomas, will miss the first fee weeks of the season with a broken thumb. I have no faith in them at all. The question surrounding Denver is, “Will Tim Tebow return to save the Broncos?” Gotcha there? Seriously, though, people will be wondering whether 2015 will be the final season for the Broncos QB Peyton Manning. If not for the injuries, I don’t think he has that drop-off he had at the end of last season. I think he’s going to do fine with new head coach Gary Kubiak’s new system. RB C.J Anderson will be a star this year. 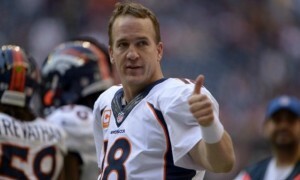 Peyton Manning will have a great year with WR Emmanuel Sanders and WR Demaryius Thomas. The defense will shine under Wade Philips. I’m expecting big things from Von Miller and DeMarcus Ware. The Chargers will have a pretty good team this year. They have QB Philip Rivers, but they will miss TE Antonio Gates, who will be suspended 4 games for a PED violation. I’m not that in love with the Kansas City Chiefs. I don’t think QB Alex Smith will lead them very far. That team does realize that throwing to a wide receiver is allowed in the NFL, right? The Raiders are just the Raiders. QB Derek Carr and Rookie WR Amari Cooper may win the team an extra game or two, but that’s it. This is the best division in the NFL. The four teams are not only bitter rivals, but are hard hitting. I’m talking about the Cleveland Browns, the Pittsburgh Steelers, the Cincinnati Bengals, and the Baltimore Ravens. These are rough and tough minded teams. Starting with the defending division champions, the Pittsburgh Steelers, I am very impressed with their high powered offense. QB Ben Roethlisberger had an amazing year last year, and hopes to build on it. He plays with the awesome WR Antonio Bryant. When RB Le’Veon Bell and WR Martavius Bryant return from their suspensions, this offense will be on a roll. The ankle injury to C Maurkice Pouncey will be a tough thing to deal with, as he’s on short-term IR, along with the new defensive coordinator in Keith Butler. Troy Polamalu and Ike Taylor retired, and the defense looked shaky at times during pre-season. The Cincinnati Bengals looked excellent in pre-season. I have no doubt that this Bengal team will have another great regular season. The question I have with this team is can they win a playoff game with this coach/QB combination? QB Andy Dalton is a very good QB. However, when it comes to the playoffs, something happens. Marvin Lewis has been to the playoffs with Carson Palmer and Dalton. Now, Palmer got hurt, but something is wrong. It’s either Lewis is too conservative in playoff games, or Dalton is just not good enough. The Baltimore Ravens have a very proficient offense. QB Joe Flacco doesn’t make a ton of mistakes. The team has an excellent running game and an excellent defense. I definitely look for them to be back in the playoffs. The Cleveland Browns are in disarray. Their defense may keep them in games, but even with a healthy Johnny Manziel, I don’t see much success for this team. New England Patriots repeat as champions over the Green Bay Packers.